On April 13, 2015, WHUT hosted a community screening of The Homestretch. 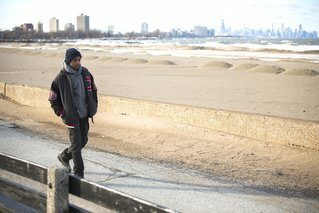 The Homestretch follows the lives of three young homeless teens from Chicago, who face several obstacles to achieve their goals. Following the screening, WHUT held a community conversation about homelessness, the film’s accuracy, and what the community could do to help solve this ongoing issue. The discussion was led by a panel of homeless youth and homeless advocates who are dedicated to defeating homelessness in the Washington, DC area. After the discussion, attendees signed a petition letter to Mayor Muriel Bowser showing their support in the movement to end youth homelessness.